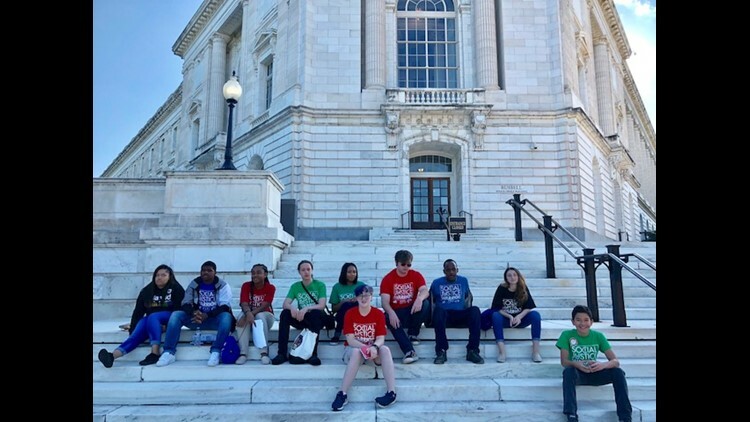 Local youth group, Empowering Youth Exploring Justice (EYEJ) traveled to Washington D.C. to meet with Ohio Senators. The EYEJ Impact 25 Council is made up of individuals ages 15-25. The group aims to foster a community to discuss issues, injustices and challenges they may be facing in their communities. It is that mission that lead 12 members of the council to D.C. to discuss their concerns with Senators Brown and Portman. In addition to meeting wth Senators Brown and Portman, the group toured Capital Hill, visited the National museum of African American History and Culture and saw the monuments. For more information on EYEJ, click here.